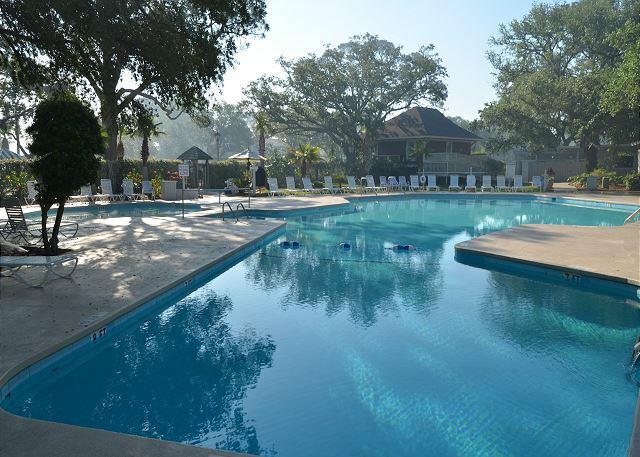 Enjoy the low country style of this luxury 2 bedroom 2 bathroom vacation villa. The kitchen has been recently renovated with granite countertops, stainless steel appliances, and fully equipped with everything guests will need to cook at home. The kitchen then opens into the dining room and the living room that is perfect for entertaining. The master bedroom is furnished with a king size bed and the bathroom is updated with a walk-in custom shower. The guest bedroom is furnished with a set of twin beds and the bathroom is also updated with plenty of storage space. 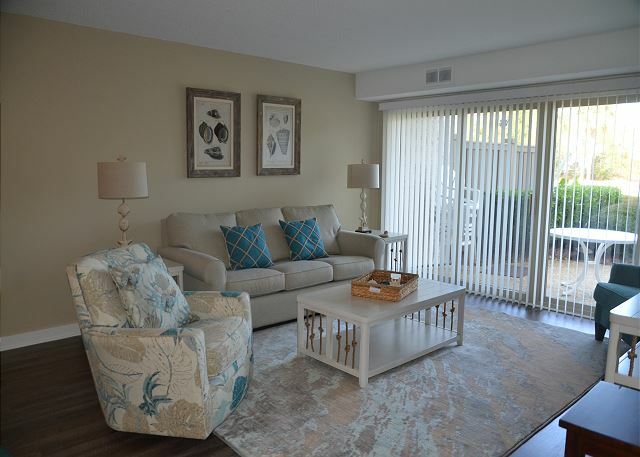 Be able to relax with gorgeous views of the waters of Braddock Cove and even have views of the Harbor Town Lighthouse. This villa is also a short walk away from the beach, and even closer to the always entertaining South Beach Marina Village.